Payments Processing—Are You Doing it All Wrong? The cost to process credit card payments has become a runaway freight train for many insurance companies. But, there is a way to mitigate these costs, while continuing to offer the convenience of paying by credit card. 3. Alleviate the security risks of processing digital payments. 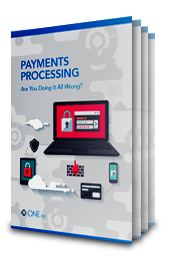 Payments Processing: Are You Doing it All Wrong?